The future and, in particular, the future of work is a trendy topic today, enriched by buzzwords like Artificial Intelligence, Augmented Reality, Human-Machine Interaction, talents, personal development and other. Before moving to the technological side of the problem, let us make a quick journey back in time. It will be a fast trip, inspired by Louis Anslow article “Robots have been about to take all the jobs for more than 200 years”. 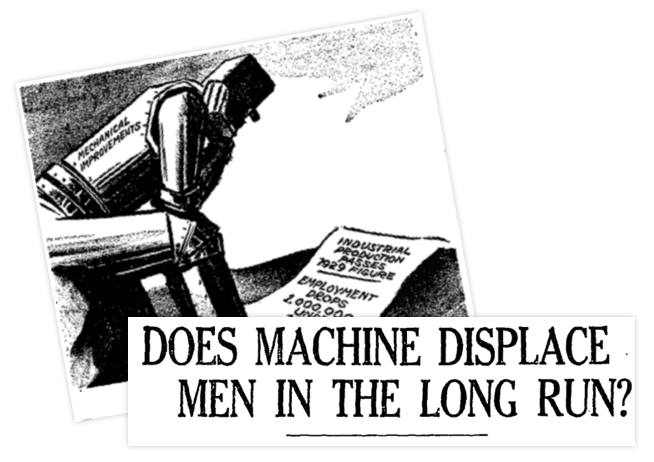 In the next step, in 1928 The New York Times published, again, an article called “March of the machines makes idle hands” blaming automation for workers’ “idle hands”. The machines’ “hysteria” continued even by Einstein who blamed machines for the current job crisis in the 1930s. Another great article I love on this topic is “A Robot Has Shot Its Master”- the 1930s hysteria about machines taking jobs and killing people by Matt Novak. In 1960 the MIT (Massachusetts Institute of Technology) introduced the Man-Computer Symbiosis paradigm with the purpose of enabling men and computers to cooperate in making decisions and controlling complex situations without inflexible dependence on predetermined programs, using concepts like “Mechanically Extended Man” and “Artificial Intelligence”. In the 1966 President Kennedy spoke about “Automation Report Sees Vast Job Loss”. We could go step by step until 2019 with apocalyptical visions, based on buzzwords on media, but, besides what happened to the employment rate in those years, we are still not out of jobs. It is true: we lost many jobs, for example, 8 million farmers, 7 million factory workers, around 1 million of railroad workers, hundreds of thousands of telephone operators, and other low-skilled jobs. For more details, take a look at this document from the National Bureau of Economic Research of 1966 where Stanley Lebergott reports that every fifty years we lose about half of all jobs, and this has been pretty stable since 1800. So, what will happen to the incoming technological wave? 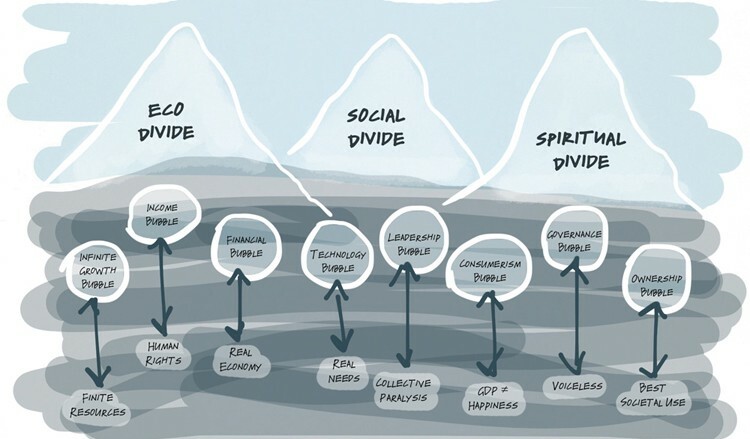 Focus: The new generations are more interested in fixing, following the U-Theory model, the three dividers. If you are not familiar with the U-Theory model, this article is worth multiple reading, and it leads us to new and improved research for happiness and accomplishment in the job. The economy is shifting from big firms economy to gig-economy and social structuring (an excellent source to following this shift is to start from this video of Marina Gorbis). Some of the old jobs will disappear: 800 Million according to BBC, 47% based on Oxford Universities researchers, or if we like massive numbers: 2 billion in 2030 from this article published on BigThink. Moreover, on the other side, 85% of the new jobs of 2030 have not been invented so far, as reported by the Huffington Post. Reskilling, learning and focus on people (talents) is imperative for companies. Our greatest skill is the ability to learn new things, and the technology is able to create high-skilled jobs and increase worker productivity. This article demonstrates how every time technology creates a new job “at the top” and everyone gets a promotion. For the demonstration, it uses a simple example of a various job with different levels of skills, represented as a histogram chart. Yes, the new technology advancement will automatize the job in the most left position (Z). It will create new vacant job positions on the right of our diagram (A). 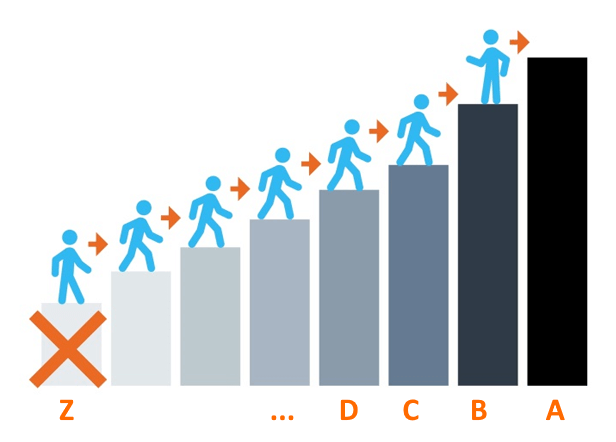 Some employees from the nearest job position (B) will decide to acquire new skills to have a better job, and they will move right. Some of the employees from the job in the (C) position will see open positions in (B) and they will invest in learning new skills to move there. The nature of technology itself has always been able to create new highly skilled jobs and increase worker productivity. This article was written with Aleksandra Sadovnikova help and support.